For more than 23-years of making Valentine Cards with my nanny kids I needed a new idea I hadn’t tried before. 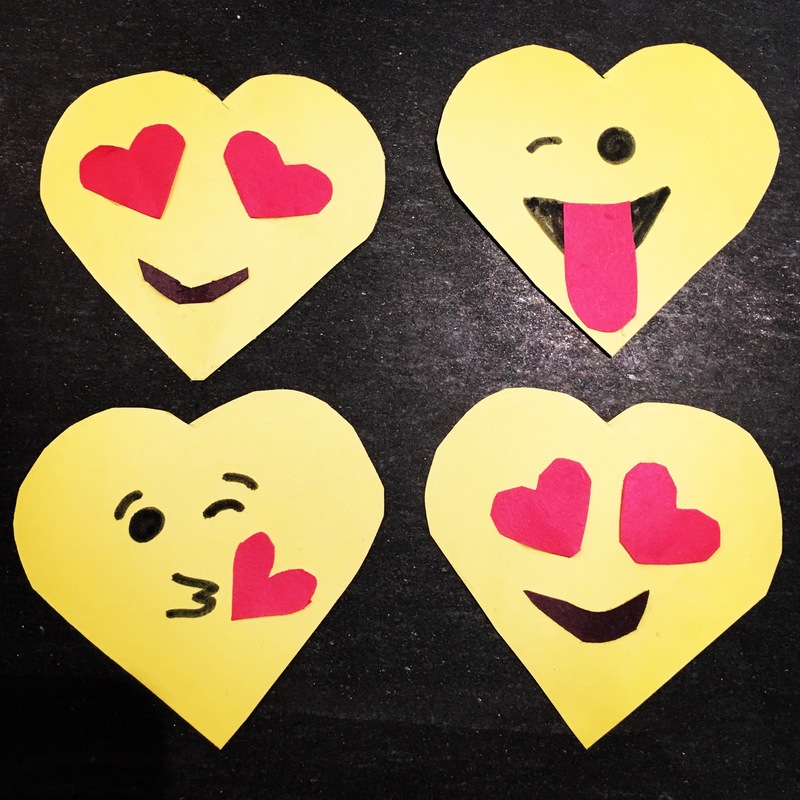 The brilliant 7-year-old I care for thought of making these cute Valentine emojis. 1. Trace the heart-shaped cookie cutter on yellow card stock. Cut out heart. 2. Cut out little hearts from red paper and smiles and circles for eyes from black paper. 3. Attach hearts, circles and smiles with glue. Use a marker for small details such as puckering lips or eyebrows. 4. Let dry. Flip over to write message.